Great looking throw pillow designed to blend with anything anywhere. Super soft with the great comfortable look of denim. 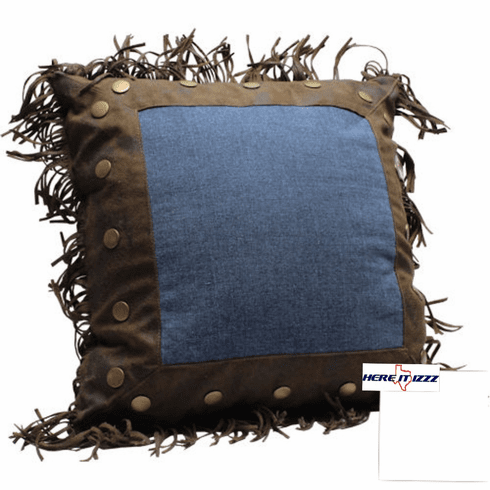 Great blue jeans pillow, designed with fringe, is a great way to spruce up there look of your pickup truck or sofa. Overstuffed and leather look design will look great and stay beautiful.